The summer after I graduated high school, I went to London with a friend. We visited the Tate and I became smitten with William Blake's art. I didn't have a lot of money to spend on that trip but I did buy a bunch of postcards of his art as souvenirs. About five years later, when I landed in California from the East Coast, I got into a heated discussion with a friend's husband. He mentioned that he was a fan of Blake's poems. I said that I was a fan of Blake's art. He said I must be mistaken, that Blake didn't make art. I insisted that he did. (Now, keep in mind, this was the mid-1990s and there wasn't an instant way to verify who was right.) We tabled that discussion, and our relationship, indefinitely. 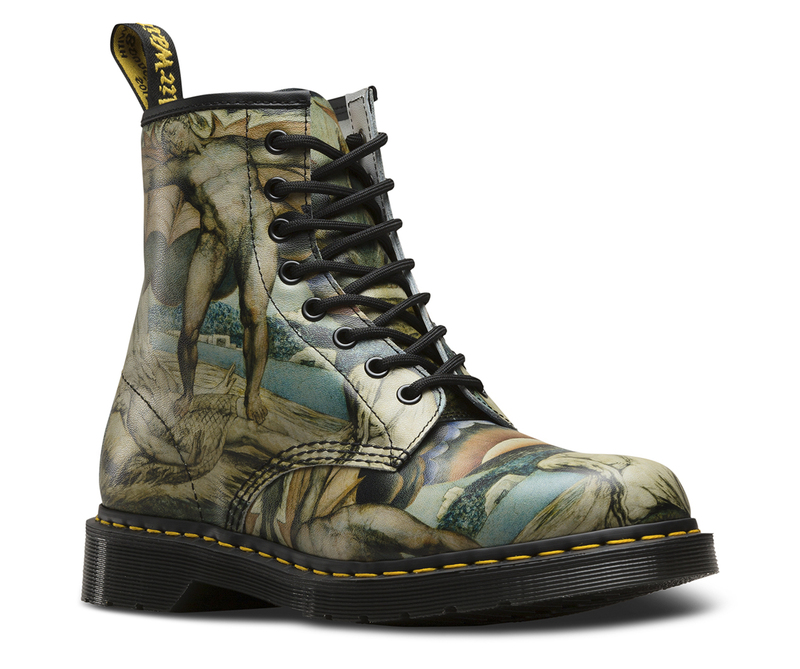 Now I see that the Tate has collaborated with Dr. Martens, bringing William Blake shoes to market. Shoes covered in his art. The first one is the 1460 boot which is printed with Blake's "Satan Smiting Job with Sore Boils" and the second is the three-eyed 1461 shoe which is covered in "The House of Death." It took 23 years but I feel tremendously vindicated.